Filed firmly in the ‘cool but probably pointless’ category, AndroidSpin brings us news that one clever XDA-Developer member has managed to find a way to turn your Android device into a wireless mouse for your PlayStation 3. 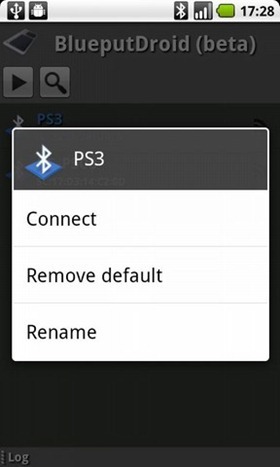 Called BlueputDroid, the software will only work on a rooted device to act as a keyboard or mouse for both PC and PS3. Currently in beta form, BlueputDroid is available for download on AppBrain should you wish to give the mousey goodness a whirl. 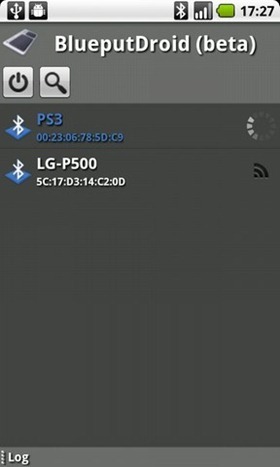 One word of caution though: at the time of writing, not all Android hardware is supported in the beta, though most of the top smartphone handsets are, including the Nexus S.
The paired devices should now appear on the bottom of the application, the PS3 should be there. Now you can try to discover some keycodes by entering a numeric value in the editbox on the left of the button “send key” (for example try to insert number 35 it could be lucky ) and press/release this last. Check out the videos for more info on what does and doesn’t work at the moment, and please do bear in mind this is beta software.